July 1st 2013 • Six months late but the vinyl edition is finally due at the end of July. It’s a double album, with a slight sleeve variation to the CD art. The only bonus is a short interview with Jon taken from the BBC radio broadcast. While we’re showing covers, there is a Blu Ray version of the release which is a bit of a muddle. It has the video content as on the Making Of DVD, plus a 5.1 audio mix of the album, and the stereo version, etc. Both available at DTB Online store. 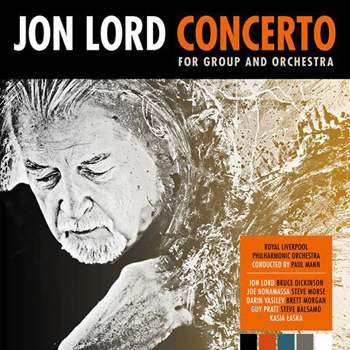 Dec 3rd • Jon’s Concerto special edition is shipping at long last and looks pretty good (modesty forbids, etc). It’s a hard back book, 70+ pages, with text by Paul Mann and others, and loads of photographs from the recordings as well as some historical material. The audio CD is the same as the regular edition but the special Making Of DVD is unique to this release (the discs are held inside the front and back covers). The only thing to watch out for is the awful large German censorship sticker slapped on the cover. If you try and pull this off it will damage the cover laminate, so use something like lighter fluid to ease the adhesive first. If you have held off for this version it is now available at DTB Online..
Aug 13 • Sales sheets for the first CD edition are issued and give a September release date. A vinyl edition has now been added to the format list and will appear later in the year. Aug 11 • There have been some changes in the early editions of this upcoming release which has caused a bit of confusion (not least with us!). Most people are interested in the special hardback edition, which will be released later this year with the audio CD, 80 or so page book, much expanded sleeve notes, lots more pictures and an exclusive Making Of DVD documentary. HOWEVER this will now be preceded by two audio only editions. Released at the same time, there will be a single CD edition in a regular jewel case, and a two disc edition in a digipak. The digipak has the stereo audio CD with a 5.1 audio on disc 2. Both these versions have a 20 page colour booklet with photos from the sessions and notes by Paul Mann. Fans will have to decide whether to wait or not! We’ve also heard that a special vinyl edition is also planned. The various editions are available to pre-order at DTB Online..
Work on the upcoming studio recording of Concerto For Group & Orchestra is nearly done. Thanks to the producers and label, here are a few photographs from the sessions to whet your appetites (along with the very eye-catching album cover design). 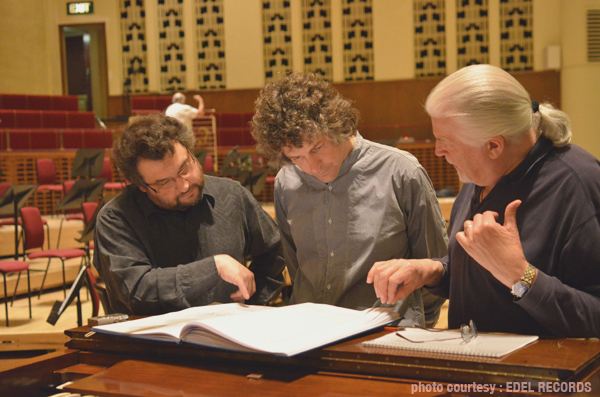 The photographs were taken at the fabulous Liverpool Philharmonic Hall in 2011 during the recording of the orchestral movements. 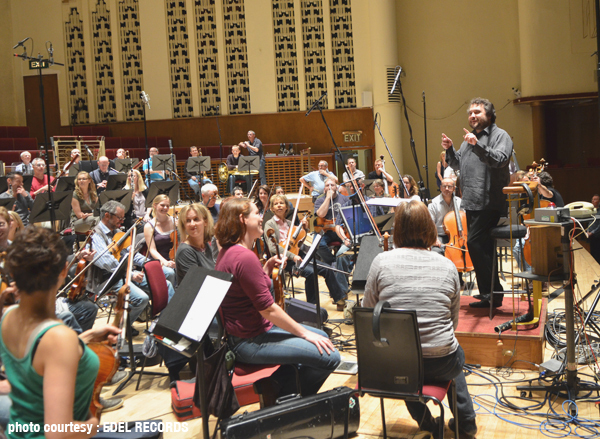 The orchestra, along with drums, keyboard and bass, were recorded there. The solo performances were done later in the year at Abbey Road. 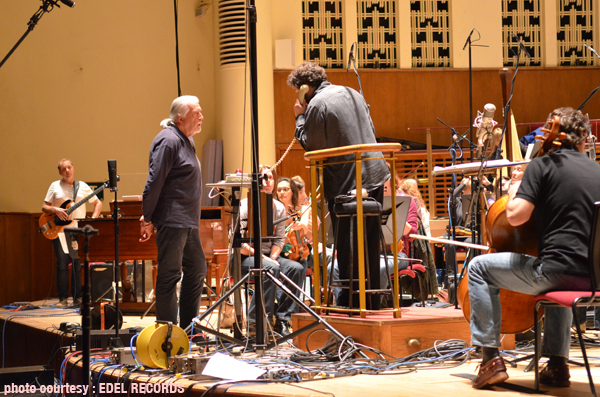 The photographs show Jon Lord of course, along with Paul Mann, Marco de Goeij (below centre) and the orchestra at work. The images (and loads more) will appear in an extended hardback 60+ page A5 book edition of the album, along with detailed notes by Paul Mann. 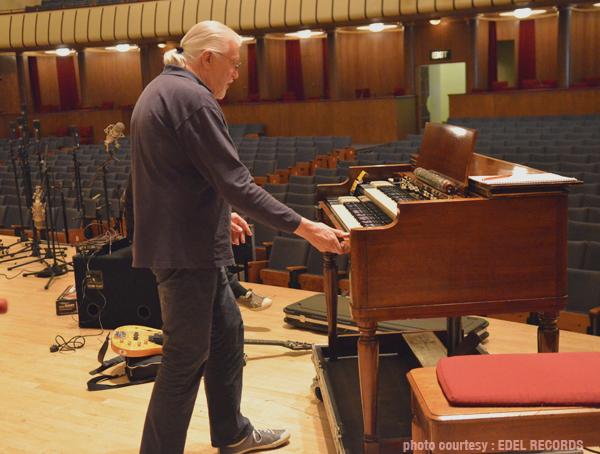 A special video documentary filmed during the recording sessions is also being prepared. There will be a regular single CD edition in the shops first (we suggest you wait for the special one). The final list of ‘rock’ soloists is also now confirmed as: Darin Vasilev, Joe Bonamassa, Steve Morse (gtr), Jon Lord (organ), Steve Balsamo, Bruce Dickinson, Kasia Laska (vcls), Brett Morgan (drums) and Guy Pratt (bass). The special edition can be pre-ordered at DTB Online. Marco de Goeij article on the site here. Before I heard the CD I was of the same opinion as Gabriel, unfortunately for both of us the star vocalist [by a country mile] is Bruce Dickenson! 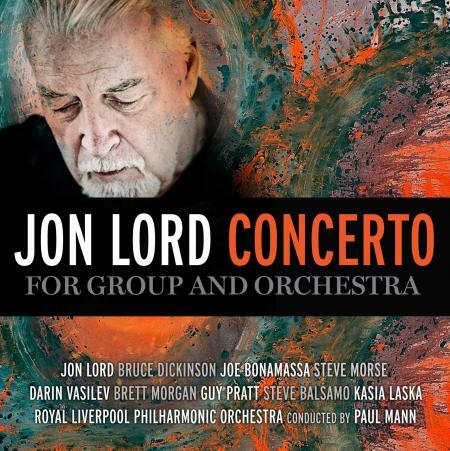 Not that I will be listening to it all that much – Jon superb – the recording of the orchestra brilliant – the band, well, flat is the kindest comment I can think of – God how I missed Glover and Paice on the 1st movement! Does anyone know if the hardback edition will be including the dvd audio version? Not sure Marcello, the whole release has been a bit confusing. I will wait for the deluxe edition. That will be the keeper, one to be held dear – as a special edition for Jon. Thanks for the info. Fitting that Jon’s first bonafide move into the hallowed and snobbish world of so-called ‘Real Music’, will also now be his last. I hope that the end result was pleasing to Jon, and if that were the case then it will no doubt be pleasing to us. He certainly produced more complete works as the years progressed, but none that seemed to match the overall interest that met ‘The Concerto’. 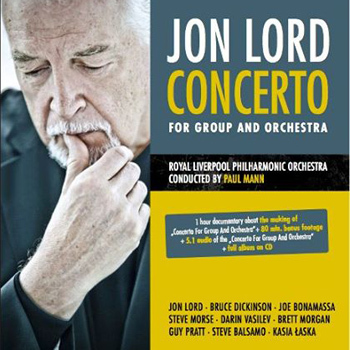 The 60s, The Royal Albert Hall and Deep Purple definitely added to the magnetic drawcard that was ‘The Concerto’ then — let us hope that with Jon’s passing, that interest is rekindled in 2012, and he is covered in the accolades of the uninitiated. Just glad they managed to finish it before Jon passed away. It should be a fitting tribute. I think it will be, the special edition even more so. Leon, do I remember you from Nether Edge days? Yep, that’s me! Last time I saw you was the DP gig at Manchester Apollo in ’96 when I was living in Jersey. Now in Utah USA. How’s Nick these days, see he has his own website. I’ll put him in touch Leon, though he’s in the rather less glamorous surroundings of Woodseats. Now that would have been inspired Gabriel, wonder if his voice is still OK? Rather nice sleeve but I am not surprised as his solo sleeve art work has been always very interesting and good. True, except for To Notice Such Things, a bit hackneyed! Bruce Dickinson? Take part in this work? I can’t believe it! It’s a vocalist without voice. Please choose another guy. I wonder if Bruce D was tempted to break into ‘run to the hills’ at the top of his lungs! I will of course be buying this but it is a shame RB, IP, IG and RG did not get involved. It would have given the project more credence. This one for the collection! Just glad Jon is making music. I am thankful for that and he seems be to doing well. Hope to see him in concert soon. Now we can only wait. Look very much forward to it.